A sweet and romantic necklace that packs a trendy style! 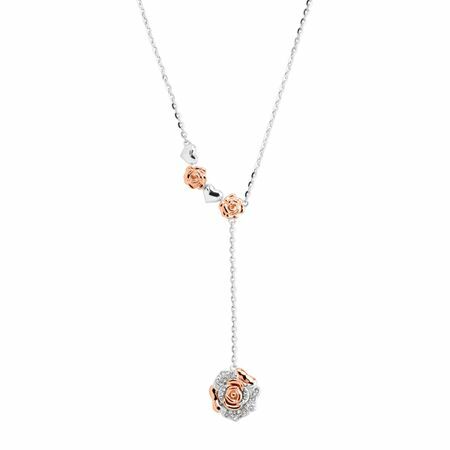 A lovely line of roses and hearts trails down to a lariat chain with a two-tone rose, crafted in sterling silver and rose gold plating, adorned with gleaming Swarovski crystals for endless versatility. Feature piece measures 1/2 by 1/2 inches with a total length of 18 inches.